Plastic has always plagued the environment but this year it’s been filling our front pages almost as much as it’s been filling our oceans. From Wetherspoons ditching plastic straws (cocktails taste better when they’re environmentally friendly, trust us) to Morrisons introducing paper bags for fruit and veg (yep, your weekly shop just got eco-chic), this year we’ve seen companies take big steps to reduce their plastic usage, and more and more people doing their bit to toe the line. However, this month will see our War on Plastic accelerate with the annual Plastic Free July. Launched in Western Australia in 2011, Plastic Free July has grown each year and is now an official independent charitable foundation which counts millions of participants all over the world. With the hashtag #choosetorefuse, their mission is to eradicate the use of plastic. The main offenders that the organisation is targeting are shopping bags, straws, takeaway containers, and coffee cups, amongst many other single-use items. Unfortunately, we live in a plastic world. From apples to chocolate bars, it’s nearly impossible to do a grocery shop without inadvertently filling our cupboards with the dreadful stuff, and with everyday items such as shampoo bottles, pens, and the TV remote made of plastic, it’s almost as inescapable as the air we breathe. So, life is plastic, but it’s definitely not fantastic because, unable to rot like other materials, plastic is like the guest that outstays their welcome at the party. 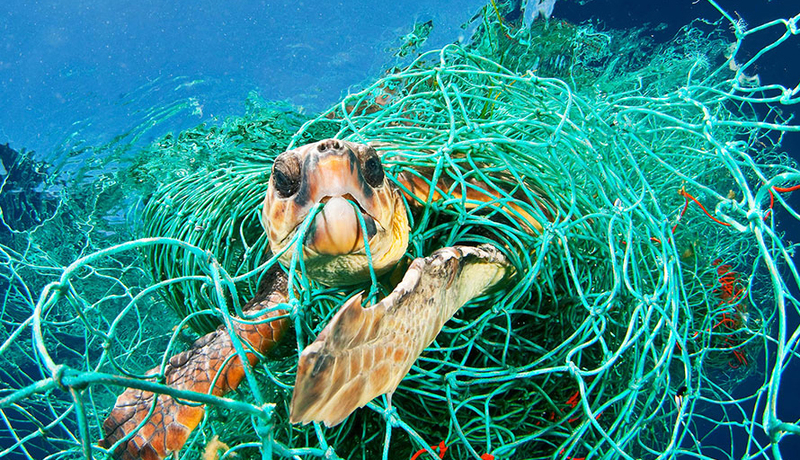 Turtles are an obvious example, it is thought that one in three turtles have consumed plastic, which is indigestible and prevents them eating the food they actually need, and 100,000 sea animals die at the hands of the material each year. Not to mention sea birds, 90% of which are known to be eating plastic. However, each of us has the power to reduce the shocking amount of plastic in the world simply by making a few minor adjustments to our lives. Water bottles and disposable coffee cups are a major problem, and the solution couldn’t be simpler. Everyone should simply invest in a reusable water bottle and a travel mug to cut down on the number of water bottles and coffee cups that are thrown away each day. Not only are they more environmentally friendly, they’re usually way prettier and, as many cafés give discounts to those who use their own mug, they often prove a great investment. Plastic shopping bags are another easily fixable environmental issue. If everyone simply swapped plastic shopping bags with reusable bags made from cotton or hemp, plastic bags would become extinct, and thus cease to pose a danger to sea creatures and birds. Another vital weapon in the War on Plastic is awareness. If we keep the problem of plastic in mind when we go about our daily lives, we can make a huge difference. Helping to save the world can be as simple as choosing loose fruits and vegetables in the supermarket and making the effort to wash out your yogurt pot so it can be recycled. Thus, Plastic Free July shouldn’t be seen as a challenge, it should be seen as the perfect opportunity to up the ante in our fight against the material that is one of the earth’s greatest enemies. So, keep it in mind this month, and encourage your friends and family to do the same, so that Plastic Free July can become a Plastic Free Earth.